When do you know your car is safe? 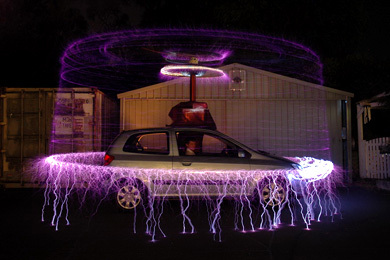 When you’ve got Well-Insured wheel covers, a shotgun turret, tesla coil alarm, and the Autoloc Flamethrower. Vote for your favorites. 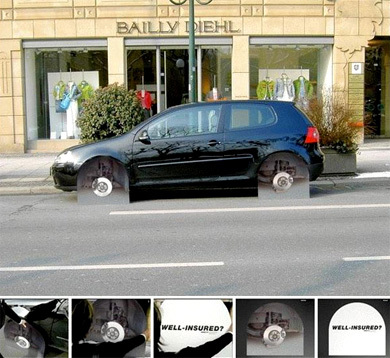 These cardboard cutouts of empty wheel wells can be used to deter thieves who like cheap knockoffs. Don’t think it would work? Ok, maybe not. But it would make for an amusing prank against a gullible friend. From a distance, it looks somewhat convincing. The Alert Driver wristband is a flexible rubber device that detects — by communicating with an RFID tag placed in the car — if a driver is suffering from fatigue, based on reaction time. If fatigue is detected, the device will start vibrating. 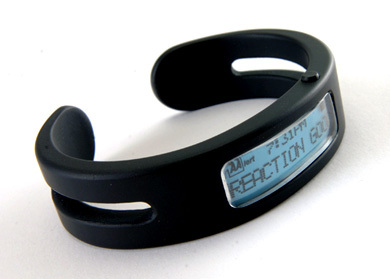 The device can be bent to fit your wrist, and has memory to stay in position, to ensure it will not fall off. More Industries introduces the “HAMMER” unmanned weapons system and H2X-40 turret for law enforcement/military use. 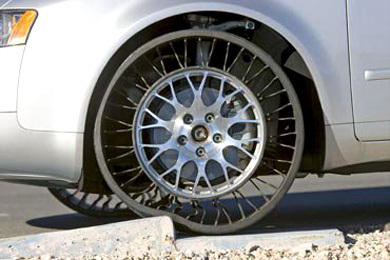 The Tweel sports a flexible spoke/wheel design that replaces the need for air pressure, deforming to absorb shocks. 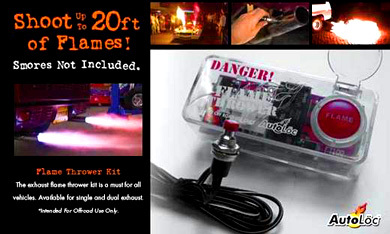 Shown at SEMA 2006, the Autoloc Car Flamethrower could be one of the most useful (coolest) auto accessories we’ve come across, enabling drivers to shoot up to 20ft. flames from their car’s exhaust. Product page here. Spinner rims are so yesterday. 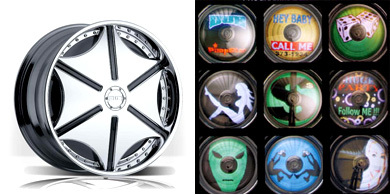 Rims with built-in color LEDs become reality with “PimpStar”. These fully programmable wheels can display any image, logo, or text using the included software. Prices range from $12,500 (22″ w/tires) – $19,500 (26″ w/tires). 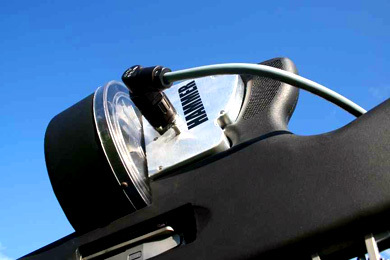 This gadget/device was created specifically for 2006 Bullrun, a 3,000-mile road race, to prevent red light cameras from snapping pictures of the Lamborghini Gallardo’s license plate.